Fort Payne is located in Alabama’s DeKalb County. This historic city is a great place to make a home for you and your family. With its wealth of business opportunities in a wide range of industries, it’s also a great place to work. Chattanooga, Tennessee is only an hour’s drive away and Atlanta, Georgia is less than three hours away. 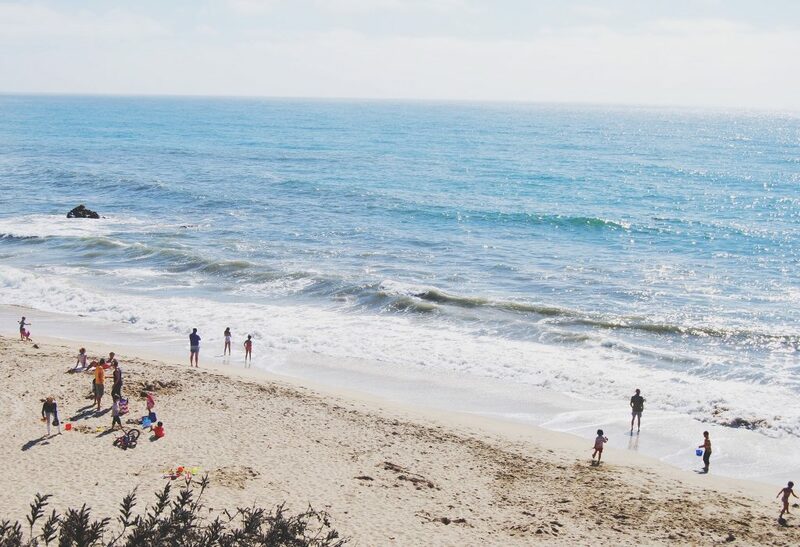 If you want a break from city life you can find it here. Within minutes of thriving city center, you’ll find four stunning parks where you can camp, hike, kayak, fish, or meditate by one of the bubbling waterfalls. 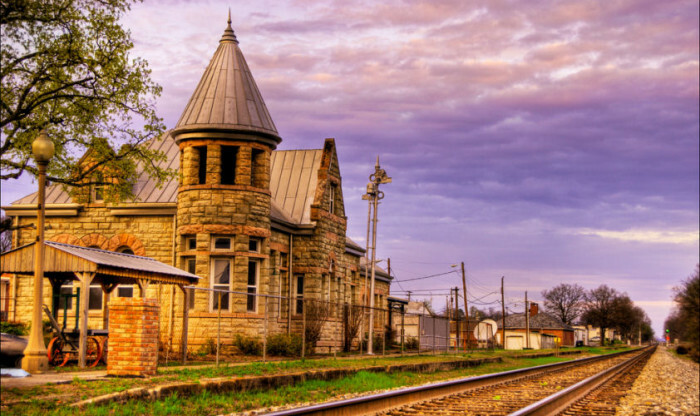 Fort Payne is also nestled between two stunning mountains, Sand Mountain and Lookout Mountain, from where you can enjoy breathtaking scenery and a variety of flora and fauna. There’s always something to do in Fort Payne. 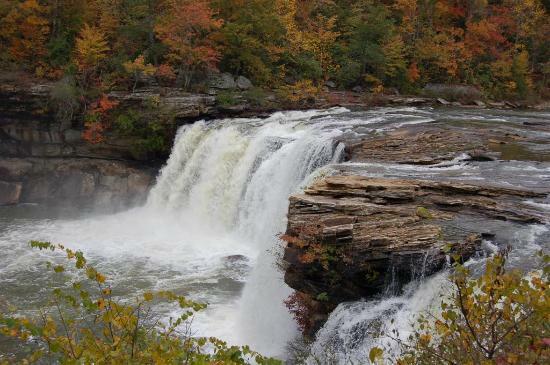 It’s home to Little River Canyon National Preserve, The Alabama Fan Club and Museum, Fort Payne Depot Museum, and Big Mill Antique Mall. There also plenty of attractions for kids, like Fort Payne Cinemas, Tigers for Tomorrow, and festivals throughout the year celebrating the town’s history, the music of the mountains, and the four seasons. In winter you can expect an average daily high temperature below 59°F between November 24 and February 28. So be sure to wrap up warmly for Christmas in the Park, the annual event held in City Park in downtown Fort Payne. You can chase the chill away next to the huge bonfire, sip on a complementary cup of hot cocoa and nibble on popcorn or peanuts. Enjoy the caroling and Christmas lights and soak up the festive cheer. The event final is the Christmas Parade down the high street, with the Fort Payne Wildcat Marching Band and of course, dear old Santa Clause. 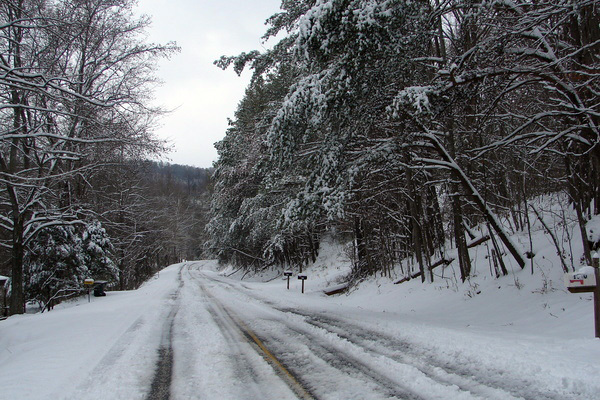 Winter near Fort Payne Al, photo courtesy of Dan Satterfield & The American Geophysical Union Blogosphere. When Spring rolls around you can expect an average daily high temperature of 64°F between March 1 and May 31. At this time of year, Fort Payne celebrates the Boom Days Heritage Celebration. This is the city’s annual art and music festival. Residents and visitor enjoy looking at displays of the past, passed down through local arts and crafts. During this festival, four blocks of the historic downtown district are closed to traffic, enabling everyone to enjoy a variety of music flows from four outdoor stages throughout Alabama Park and City Park, as well as art shows, and traditional craft displays. The Boom Days Mayor’s Cup Golf Tournament also takes place at this time. Fall in Fort Payne brings an average daily high temperature of 69°F between September 1 and November 28. 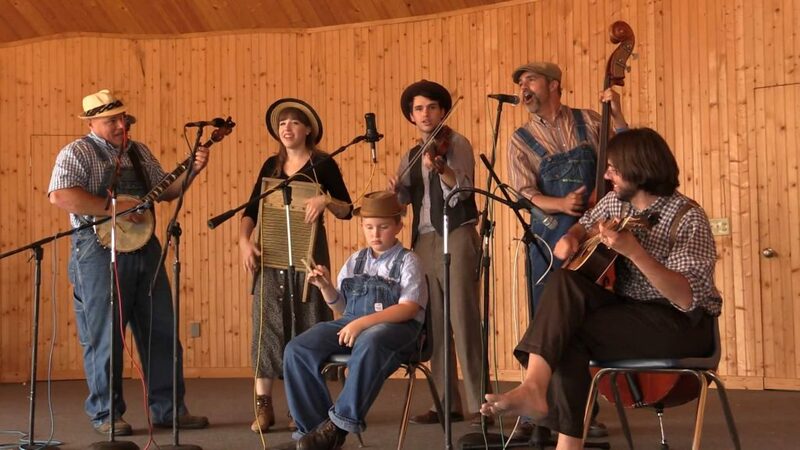 The pioneers who came to settle in the valleys of Fort Payne brought their fiddles and bows. This tradition carries on today and is celebrated each fall with a music festival containing more than ten categories in which contestants can register. These include: banjos, old-time fiddling, blue grass and more. You can find out more details from the Big Wills Arts Council in Fort Payne. It’s vacation time, and you’ve really earned it, so the last thing you want is to be worrying about your HVAC system while you’re visiting family. So make sure that you have the stress-free holiday that you deserve. If you are not sure how to set your heating and cooling system when you are not at home, here is some HVAC advice to think about before you go on vacation. It will not only save you money on your energy bills, but also help you to reduce your carbon footprint while you are away. Before you leave, call your local HVAC contractor and schedule a maintenance check for your HVAC system. Have your technician make sure the filters are clean and that there are no leaks in the coils or ductwork. Give your energy bill a vacation. Remember to pre-program your HVAC controller so that you can reduce your energy output while your house is empty. This will not only save you money on your utility bills, it will also reduce your emissions of greenhouse gas and other environmental pollutants. Unless you have belongings in your home that need the temperature to remain cool, turn off your heating, ventilation and air condition altogether. If you prefer not to do this, at least turn the thermostat to between 86 and 90 degrees. You save 2-3 percent on your energy bill for every degree you increase the temperature. If you live in an area where your pipes may freeze, make sure your indoor temperature will be constant enough to prevent this from happening. You don’t want to return from vacation to find your belongings under water. If you are expecting that some of the rooms in your home are going to be humid while you are away, remember to turn on your dehumidifier. They allow you to pre-set a range of up to six different temperatures per day. This gives you full control and flexibility, especially when you’re not at home. Although you might be away from home for a couple of weeks, you still want to maintain minimal airflow throughout the house to protect your belongings. A digital thermostat will allow you to program the system to maintain a higher temperature that you normally would when at home. You can set it to turn on for just a short while each day until you come back. With a programmable thermostat you can store the same settings to be repeated each day, but you can still manually override them if necessary, without deleting the daily or weekly settings. A programmable thermostat gives you control over more precise temperature settings and offers a wide range of programming options. By presetting your heating and cooling system temperatures, you can save up to 10 percent on your annual energy bills. A programmable thermostat can also help you reduce your emissions of greenhouse gases and other pollutants. If you’ve received some HVAC quotes and are struggling to make sense of them, don’t worry, there is a simple solution. All you need to do is familiarize yourself with the terminology used by HAVC services. To help you make sense of your quotes and to give you the confidence to hire an expert HVAC service, here is a rundown on some of the most common components of an electric split heat pump system, and the type of maintenance it may require. Condenser coil – If this is leaking the refrigerant will need to be drained before it can be repaired. Once it is fixed, the technician will replace the refrigerant and check the pressure. Refrigerant – This is measured with a pressure gauge. If it is low, refrigerant can easily be added to bring it up to the required level. You will usually be charged by the pound for freon. Condenser coil fins – Coil fins may become dirty or clogged by debris, in which case they will need cleaning. They may need replacing if they are bent due to weather damage. Filtration system – These generally only require minor replacements such as small motors, filters or floats. Evaporator coils – These are simple and inexpensive to have cleaned. Under-slab plenum – A rusted plenum will need to be demolished and replaced. Thermostat – A new thermostat can be reasonably price to expensive depending on the controller you select. The team at All Seasons Heating and Cooling has been providing affordable HVAC services and systems to Fort Payne in Alabama for more than 35 years. Our technicians understand that sometimes HVAC terminology can be confusing. That’s why we are always on hand to listen to your questions and help you understand your HVAC quotes. Find out more about our wide range of service plans.